Please welcome to the Editor’s Q&A corner Managing Editor at Red Tricycle’s Spoke Contributor Network, Leah Singer. In this article we cover how to become part of the Spoke Contributor Network, the type of content they look for, benefits for writers (including bonuses and paying opportunities), republishing and more! Q: Can you explain what Red Tricycle and the Spoke Contributor Network are and how they are related? A: Red Tricycle is a community for parents who like to have fun with their kids. We believe the best memories are created when families do fun things together and we believe every day is an opportunity to create new stories. Our mission is to help every parent feel like a rock star by inspiring them to do fun things with their kids. We offer ideas that are aspirational and actionable that you can do at home, in your city or wherever your adventures take you. We have sites/newsletters for the following areas: National, Bump + Baby, Daily Inspiration, Food, and nine major cities. Red Tricycle Spoke Contributor Network launched this past summer and is a site devoted exclusively to our readers’ stories. The platform shines a light on our community’s unique parenting stories and perspectives. Whether you’re raising a child with special needs or are a parenting hack wizard, we know each of you have a story to tell and we want to give you a platform to have your voice heard. You can read through the Spoke FAQ page to learn more about the Network. Q: What is your role with Red Tricycle and the Spoke Contributor Network? A: I am the Managing Editor of Spoke. That means I look for awesome writers who want to join the network and share their stories. I’ve been with Red Tricycle for several years. I write stories for many of the different areas, and before overseeing Spoke, I was the San Diego City Editor. Q: Who is the Red Tricycle’s audience? A: We reach 12 million parents every month across email, web and social platforms. The majority of our readers are women, between the ages of 24 – 44 years old. Our fastest growing segment of readers is Millennial moms. Q: Let’s talk about the Spoke Contributor Network. What types of content/stories are you looking for and/or NOT looking for? A: The stories that work best on Spoke are personal, first-person essays that are interesting to read and will appeal to a wide variety of parents. We also love unique parenting hacks and creative projects. I’d suggest 400 – 700 words for the length. We do require you to submit at least one photo with your story (stock photos are fine). We will publish controversial topics, but the essays must be productive. We want conversation and encourage you to use empathy and compassion in your writing. What we won’t publish: rants, anything promotional for a specific brand, product reviews, posts with tons of referral or affiliate links, and posts that are just not going to benefit parents. We also don’t publish local content (e.g. 5 ways to navigate the San Diego Zoo) on Spoke since the Spoke community is nationwide. We Can Be Friends But Our Kids Cannot – Carolyn Y. On Female Friendships: When Will I Find “The One?” – Carolyn Y.
Q: How can a blogger become a part of the Spoke Contributor Network, and how does it work once you are in? A: Anyone can join the Spoke Contributor Network! The first thing to do is sign up and create a Contributor profile. As you complete your profile, you’ll have a chance to add your bio, photo, links to your website/blog, and links to your social media profiles. Once your Contributor profile is submitted, you’ll receive an email confirmation and can then start submitting stories. You do not need to pitch stories. You’ll use the same login to submit your articles. We accept most articles (with the exception of the topics noted above), and you can submit as many pieces as you’d like (although we may hold off publishing them all at once). We will make minor edits to your content to fit our Red Tricycle and AP Style, and we may edit your title for SEO purposes. But we don’t change your content. We DO accept previously-published content that appeared on your blog, HuffPo, or other websites where you have the rights to your work. When your story is published, you’ll receive an email letting you know it’s been published and tips for sharing the content. We typically review contributor requests and article submissions within 2-3 business days. Once you’re in the Spoke system, you’ll be eligible to join the Spoke Facebook Group and you’ll receive emails from me once or twice a month with new Spoke news, paid opportunities, and more. 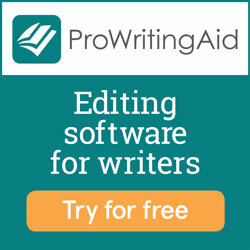 You also have the chance to be considered for future paid writing opportunities. Q: How are Spoke Contributor articles promoted on social media, newsletters etc., and does everything get the same treatment or does it vary by piece? We promote all the Spoke posts on Twitter (and will include your Twitter handle if you submit it). Not every Spoke article is posted to the Red Tricycle Facebook page, but we do post several of them (especially those that are unique and are interesting topics). We also include some Spoke articles in our Red Tricycle Daily emails that fit that day’s theme. For example, the “Pitch” stories were included in a daily email. The Spoke post “5 Ways to Get Your Kids to Eat the Dinners You Cook” was included in the daily email for Shortcut Day. And the Spoke post “What Teachers Really Want for Back to School Supplies” was included in the daily email for World Teacher Day. Q: Are there any opportunities for payment through Spoke and Red Tricycle? A: There are a few ways writers can be paid. First, Spoke writers are eligible for $50 paid compensation when a post reaches 65,000 unique page views within 30 days. We know this seems like a high number of page views – but don’t worry! Our goal is to for you to reach your goal, and we’ll help you do it! Your goal is to have your post be one of the top submissions for the week. Make sure you have great photos, a catchy headline, and make sure the post is timely. Each week, we promote the top three pieces of content on our Facebook page – so if your post is getting a lot of clicks, we’ll throw some money behind it. There’s more information on the Spoke FAQ page about how to track page views and ways to promote your posts. Second, we have monthly opportunities for paid writing. For example, we launched a writing campaign for Breast Cancer Awareness where we encouraged people to share stories about how breast cancer affected their family. In November, we asked writers to share their best holiday stories. 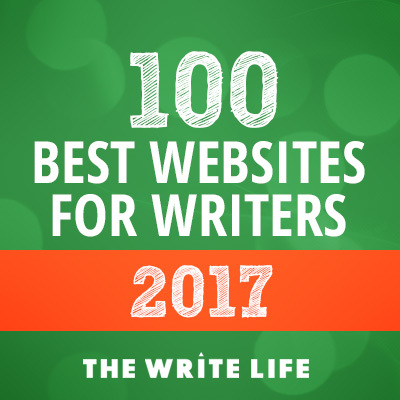 Our editors selected three original (previously unpublished) stories as featured articles, and the writers of those stories earned $100. Finally, we also work with brands who want to partner with our Spoke writers on different Influencer campaigns. For example, we worked with Fox on the launch of their new television series, “Pitch.” Spoke writers were paid to watch the show and write a post about their impressions. We are also looking at ways to pay writers when their stories reach a certain number of page views or social reach. The best way to be eligible for these opportunities is to sign up to be a Contributor. In terms of other benefits, Spoke posts are included in the reach of our 8 million parents per month. You are eligible for paid and Influencer opportunities. We link back to your blog and social profiles. And on every article you submit, you are allowed to submit up to three links to posts on your own site you’d like included at the bottom of your Spoke post. I can tell you personally that I’ve received a lot of referral traffic from Red Tricycle Spoke to my personal blog on the Spoke posts I submitted. Q: As I understand it, Red Tricycle editors like yourself have budget to pay for freelance pieces outside of the Spoke Contributor Network. How an writers submit directly to editors for those pieces and what types of content are in demand? A: The Red Tricycle National and City Editors have budgets to pay freelancers for stories. Each city has a number of freelance writers that are assigned stories for their market. If you have an article you’d like to pitch that’s not Spoke-related, you can submit it via the Submit a Story site and it’s forwarded to the appropriate editor. If you’re a writer in a specific Red Tricycle city (e.g. Los Angeles, Seattle, Atlanta, etc. ), you can pitch that city editor directly. Q: Are there any opportunities for international writers with Spoke and Red Tricycle? A: Yes, Spoke accepts international writers! Q: What else is new and next for Red Tricycle and Spoke?